Wisconsin Divorce Lawyer - Crooks, Low & Connell, S.C.
Who is Responsible for Children’s College Expenses in a Wisconsin Divorce? In any divorce involving children, addressing the issue of child support should be a top priority. While Wisconsin law establishes guidelines for calculating divorcing spouses’ child support obligations, there are a number of factors – from the child’s needs to the parents’ respective incomes – that can greatly affect the calculation of a child support award. But, there is another important issue as well, which many parents are surprised to learn does not fall within the scope of former spouses’ child support obligations. This is the issue of responsibility for college tuition and related expenses. Under Wisconsin law, divorced parents’ child support obligations end once their children graduate from high school. In Wisconsin, there is no legal obligation to cover an adult child’s costs for obtaining a college education. However, in the context of a divorce, it is understandable to want to make provisions for children’s college tuition and expenses – particularly in circumstances where spouses would have paid for their children’s education jointly had they remained together until their children went off to school. So, what can you do? In most cases, the answer is to enter into a written agreement. 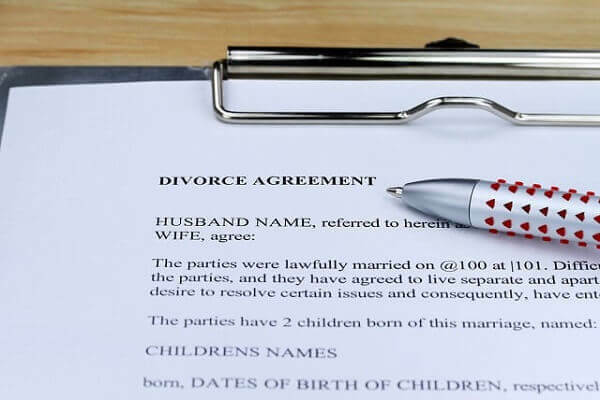 While the law does not require parents to pay for their children’s college, there is nothing that prevents divorcing parents from entering into a binding agreement to do so. When properly drafted and executed, an agreement to cover adult children’s college tuition and expenses can be an enforceable way to make sure that you and your soon-to-be former spouse are on the same page when the first (or next) tuition bill comes in the mail. How much tuition is covered? Are you and your spouse willing to commit to private school, or do you want to limit your obligations to prevailing Wisconsin public school rates? What if one of your children wants to go to college out-of-state? Will you and your spouse split any other expenses? Costs such as room and board, meals, books, and daily living expenses should all be specifically addressed in your agreement. Will you and your spouse withdraw your financial support if your children fail to meet certain conditions (such as maintaining a certain GPA)? To prevent unnecessary disputes, even issues like how and when payments will be made should be clearly addressed in the terms of your agreement. What About Our 529 College Savings Plan? If you and your spouse have been contributing to a 529 college savings plan or are using another method to save for college, this is certainly something that will need to be addressed during your divorce as well. Since 529 assets can be withdrawn prior to college (subject to tax consequences), and since 529 plans are generally established in the name of a single parent, deciding how to divide your children’s college savings will be a critical aspect of the overall distribution of property in your divorce. Schedule a Divorce Consultation at Crooks, Low & Connell, S.C.
To learn more about your options for addressing your children’s college expenses in your divorce, schedule a confidential consultation at Crooks, Low & Connell, S.C. Call (715) 842-2291 or contact us online to request an appointment with a Wausau, WI divorce attorney today.